SS/2277 Crew neck t-shirt by Ska & Soul made from 100% cotton in a regular fit. 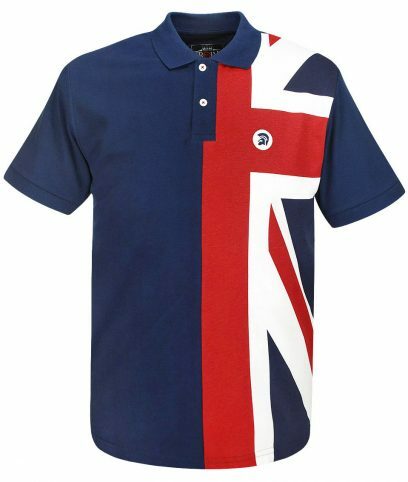 Contrast blue collar and cuffs with union jack ‘Ska & Soul’ logo on front. Plain on back. 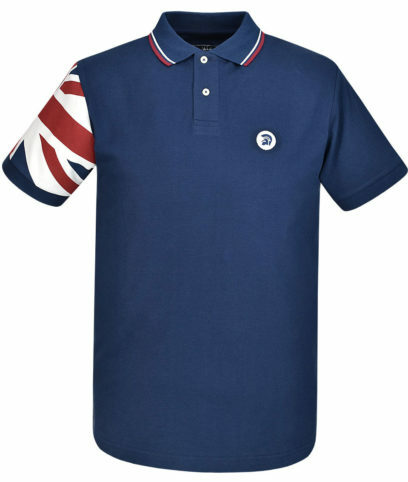 TR/8212 Polo shirt by Trojan Records made from 100% cotton in a regular fit. Half union jack flag on front with plain back. Embroidered Trojan emblem on left of chest. TR/8336 Crew neck t-shirt by Trojan Records made from 100% cotton in a regular fit. Half union jack flag on front with plain back. Embroidered Trojan emblem on left of chest. SS/2236 Crew neck t-shirt by Ska & Soul made from 100% cotton in a regular fit. 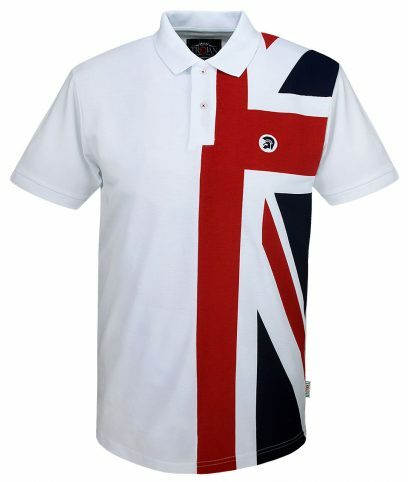 Contrast white collar and cuffs with union jack ‘Ska & Soul’ logo on front. Plain on back. TR/8324 Polo shirt by Trojan Records made from 100% cotton in a regular fit. 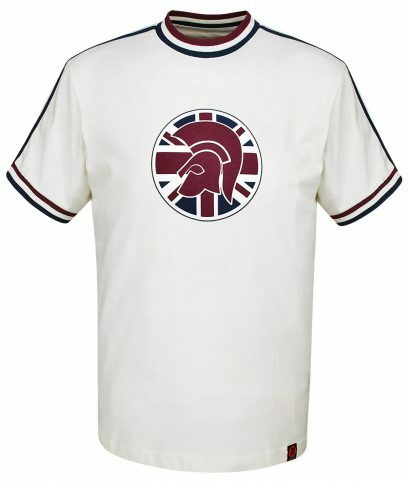 Embroidered Trojan emblem on left of chest and union jack flag on right sleeve. Plain on back. Knitted polo shirt by Merc made from 100% cotton in a regular fit. 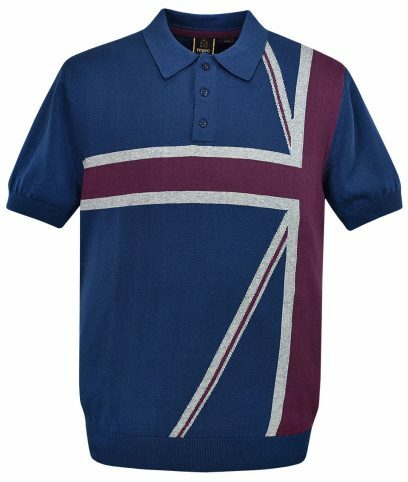 Vibrant Union Jack design on front with ribbed hem and cuffs, plain on back. Crew neck t-shirt by Merc made from 100% cotton in a regular fit. 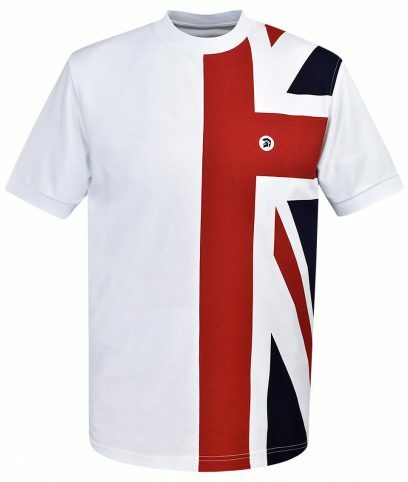 Tonal Union Jack print across the front with contrast neck and sleeves, plain on back. TR/8338 Crew neck t-shirt by Trojan Records made from 100% cotton in a regular fit. Maroon and navy contrast stripes on collar and cuffs. 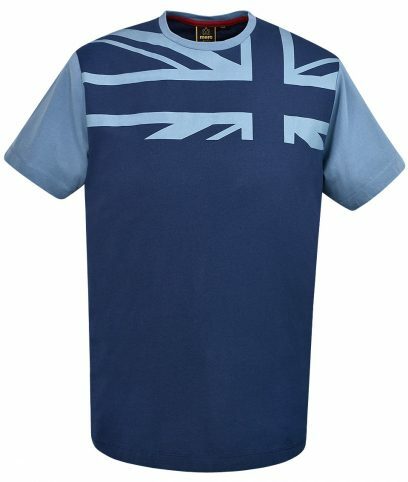 Union jack helmet motif on front and plain on back. 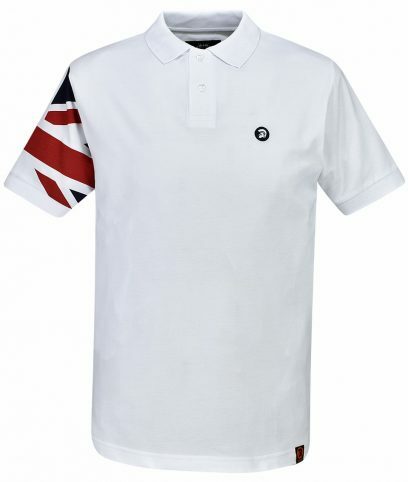 TR/8329 Polo shirt by Trojan Records made from 100% cotton in a regular fit. 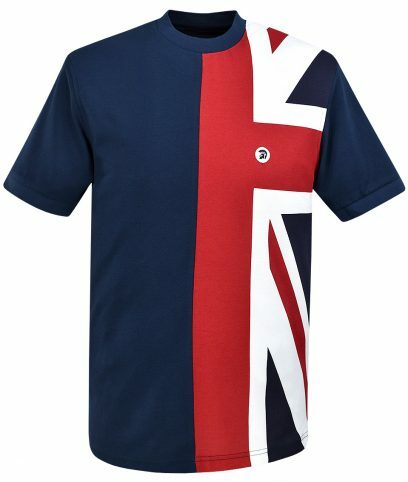 Half union jack flag on front with plain back. Embroidered Trojan emblem on left of chest.